On 30 November, the IMF confirmed the inclusion of the renminbi (RMB) in its Special Drawing Rights (SDR) basket beginning next October. The RMB will become the fifth sovereign currency included, along with the US dollar, the euro, the Japanese yen and the British pound. The RMB was given a greater weighting (10.92%) than the yen (8.3%) and pound (8.1%). This is a big deal for China. As the IMF pointed out, the acceptance represents not only an important milestone for RMB internationalization, but also an acknowledgement of the effectiveness of China’s financial reforms. The RMB has long met the IMF’s hard economic requirement of being a major currency in international trade but failed to meet the IMF’s “freely usable” criteria in 2010. Since then, the Chinese government has rolled out a series of measures to promote RMB internationalization. Progress was impressive. According to the Society for Worldwide Interbank Financial Telecommunication (SWIFT), after becoming the second largest currency for trade financing in 2013, the RMB was ranked seventh in the world as a global reserve currency in 2014 and was ranked the fourth world payment currency by August. Meanwhile, the push for SDR membership has led to a number of substantive financial reforms this year. Aside from adopting interest rate liberalization, the government removed all limits on foreign central banks’ investment in the domestic bond market, sold three-month treasury bills to aid the development of the domestic bond market, and set each day’s US dollar to RMB exchange rate at the previous day’s market close. That the IMF believes that the RMB has met the freely usable standard validates the progress in both RMB internationalization and financial reform. There is no doubt that the RMB’s inclusion in the SDR will help to keep the currency’s internationalization and financial reforms on track, which will, in turn, bring China additional diplomatic prestige and economic benefits. RMB internationalization will support the “One Belt, One Road” strategy aimed at enhancing China’s diplomatic leverage in Asia. It is also consistent with China’s efforts to reshape the world order on its own terms. Economically, it will encourage China to deepen and accelerate its economic reforms and financial liberalization, as pledged by the People’s Bank of China (PBOC). More reforms are expected soon that will provide increased access to capital markets as well as individual overseas investment. It is worth noting that inclusion in the SDR also brings some challenges. Firstly, it deepens expectations that China will allow market forces to play more of a role in the RMB exchange rate, which raise concerns about potential RMB devaluation. 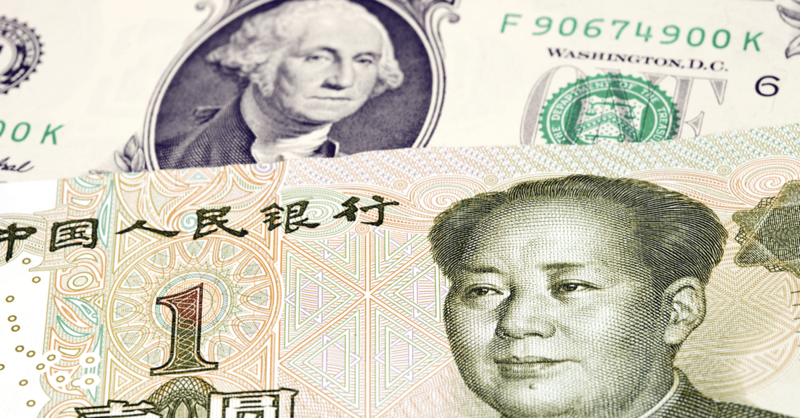 It is true that the RMB is under more downward pressure given China’s slowing economy and the strong dollar, however, the RMB exchange rate is largely irrelevant to SDR membership. The IMF didn’t mention the exchange rate in its review, and the PBOC has pledged no more sudden changes in the RMB. Furthermore, the RMB’s reserve status could act as a catalyst for capital inflows, supporting the RMB exchange rate to some extent. Besides, the central bank would not hesitate to intervene if the fluctuations exceed a certain magnitude or lead to unusual capital flows. Another challenge is the potential for large capital outflows if China moves too quickly to open up its capital account and free up the RMB. The pace of capital outflows was alarming after China surprisingly devalued the RMB in August. It was also a reminder of how quickly Beijing could lose control of its markets. In that regard, the asset bubble blow-up in Japan in the early 1990s serves as a cautionary tale. The Chinese government is no doubt aware of this risk as it has long studied Japan’s rise and fall. The third challenge comes down to monetary policy. A continued managed float exchange rate system and gradual capital account liberalization means that the Chinese government will lose some degree of monetary control, as described by the oft-cited Triffin dilemma. Moreover, there may end up being competing objectives. For example, to boost the slowing economy, the central bank may seek to cut interest rates further and allow an appropriate devaluation of the RMB. But this will have a negative impact on promoting RMB internationalization. In sum, inclusion in the SDR is a double-edged sword. The Chinese government welcomes the inclusion. But the challenges that it presents and the government’s deep-seated preference for incremental adjustments suggests that further reform will proceed slowly if steadily.